Sorry friends… this deal is now gone. I’ll keep my eyes open for another vanilla sale though! If you buy vanilla, you know that prices have been astronomical lately! So you’ll want to grab this deal! 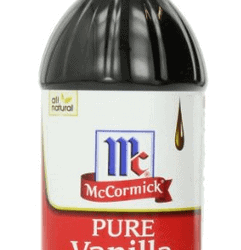 *HOT* McCormick Pure Vanilla Extract (16 oz) as low as $14.40! I prefer to make my own vanilla extract, but honestly, the beans have gotten so insanely expensive too… so this is a a stock up price (I ordered 5 bottles!!) on vanilla. 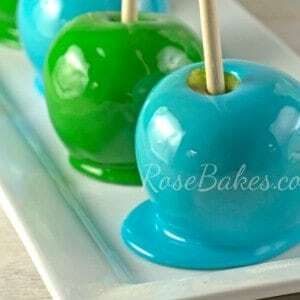 for as low as $14.40 when you purchase through Subscribe & Save! This same bottle is currently over $38 on Walmart.com so this is an incredible deal!! (choose 16 oz. bottle from the drop-down menu) are on sale for $16.94 (and this is still a great price if you don’t do Subscribe & Save!!). Pay $14.40-$16.09 with FREE shipping!! *Note… if you’re an Amazon Prime with Amazon Mom member, you’ll save 15% on Subscribe & Save items when you place 5 or more orders in a month. I am personally a member of both of these programs and have used Subscribe & Save for a couple of years… I love it!! Did I dream that I saw a post of yours about making your own vanilla extract? If I did, please direct me to it. If I did dream about vanilla extract, God help me! Ha! I wish I would have stocked up because now it’s $29!! Got this about a year ago from Walmart. $6-$7 price for the 16 oz. No where near that price now! Must have been a stocking price gone wrong that it was that cheap. Should have bought 4 bottles! Yep – there was damage to vanilla bean crops and the prices have soared since then! It’s so frustrating! I hate that Kimberly… it sold out fast! I got the deal! Omg thanks for posting, Rose! But it went away quickly. It did sell out super fast! I’m so glad you were able to get it!! I tried to get the vanilla extract but unfortunately when I was directed to amazon, the price I saw was 43.00 and up. I don’t know how to get it for that price. I’m so sorry Linda – it sold out pretty quickly!